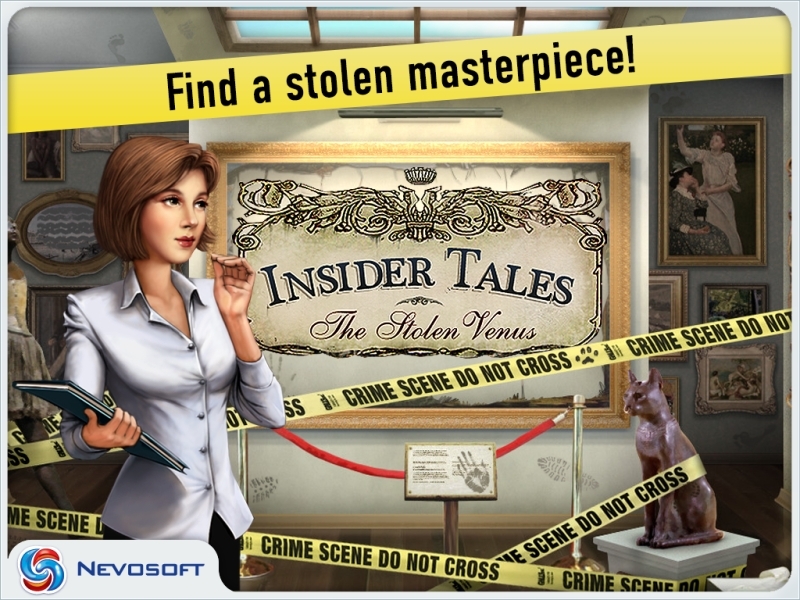 Game Insider Tales: The Stolen Venus for iPhone and iPad. 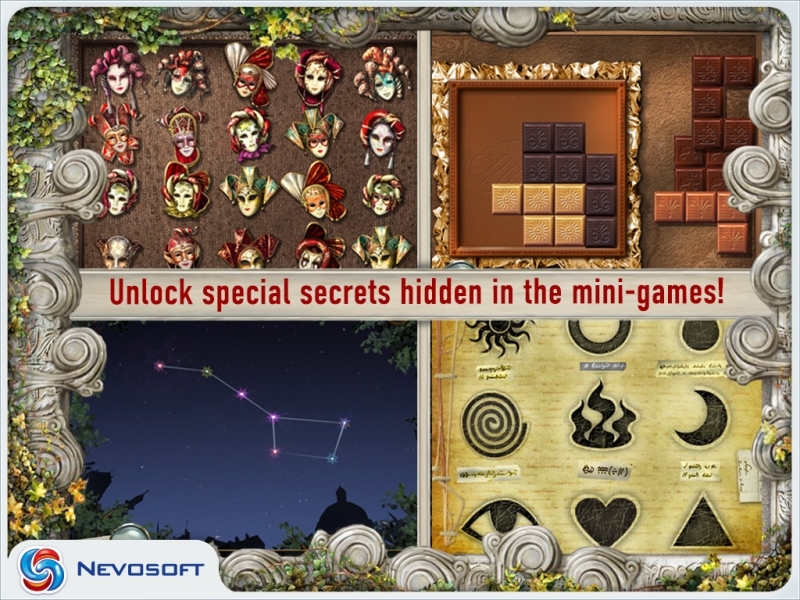 Download game Insider Tales: The Stolen Venus for iPhone and iPad for free at Nevosoft.Com. 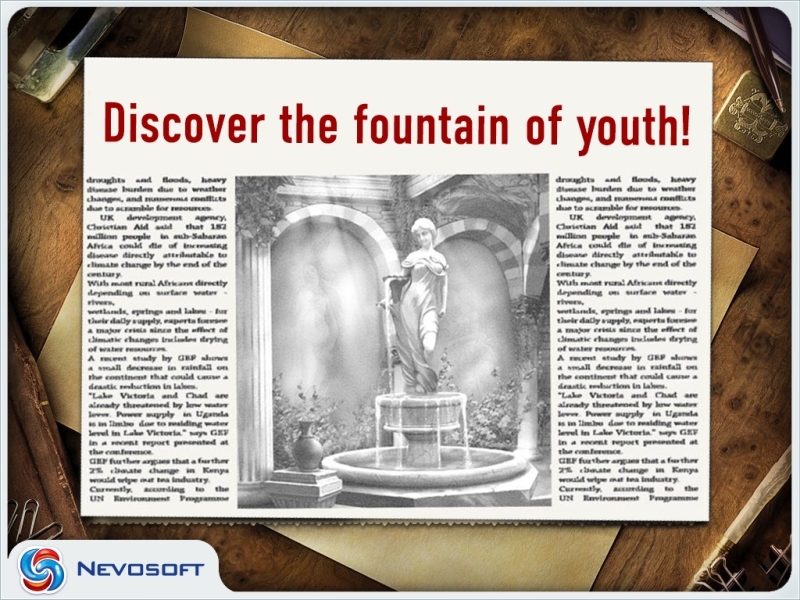 Description, walkthough of Insider Tales: The Stolen Venus for iPhone and iPad, buy game. 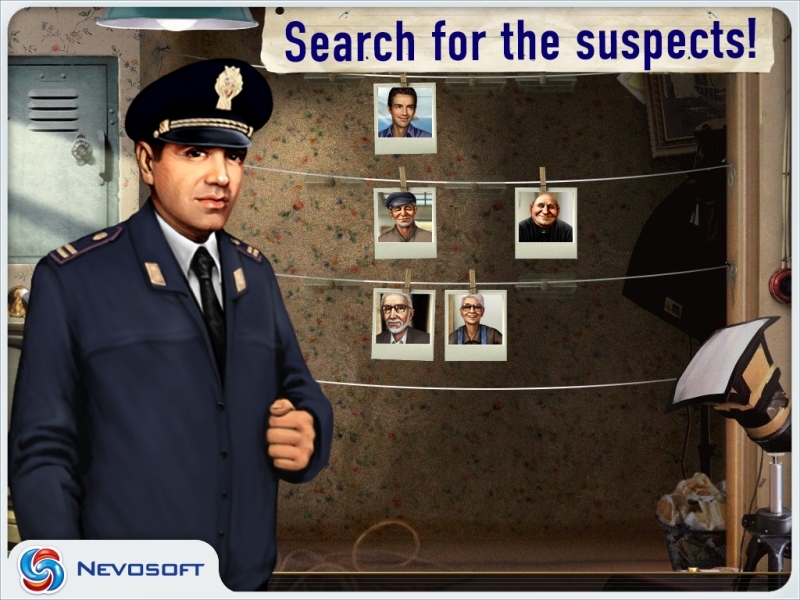 This is a great hidden object, puzzle, adventure game that offers a wide variety of searches and mini-games which will thrill detective investigation fans! Once upon a time in a small town art gallery an unthinkable crime took place: Botticelli's famous painting "The Birth of Venus" was stolen. The young and charming Francesca di Porta, widely known as the best detective in all of Italy, was called in to search for the thief. She will look for clues in the abandoned castle of a secret society, prove the professor’s innocence to the police, and set off to a mysterious island in pursuit of the criminals. Will the beautiful Francesca find the stolen painting? What will happen on this enchanting adventure? All you have to do is play it and find out! You have witnessed the crime of the century! Now it’s time to look for clues!